Conditions are looking set for a great Lancelin Ocean classic with a steady 25 knots blowing today and a good 3ft swell and building. The wave comp kicks off tomorrow with some of Aussies best wave competitors ready to battle it out, and with the building swell we are set for some exciting action! Editor Ollie J and junior writer Peri Roberts are on location and will be bringing you highlights over the next few days so stay tuned. This morning we spotted Billy Hampton getting ready for the race practicing some foil shredding out front of our accommodation. He was ripping so we are looking forward to seeing how he goes! The 36th Merimbula Classic is sure to set off with a BANG... see what it's all about. 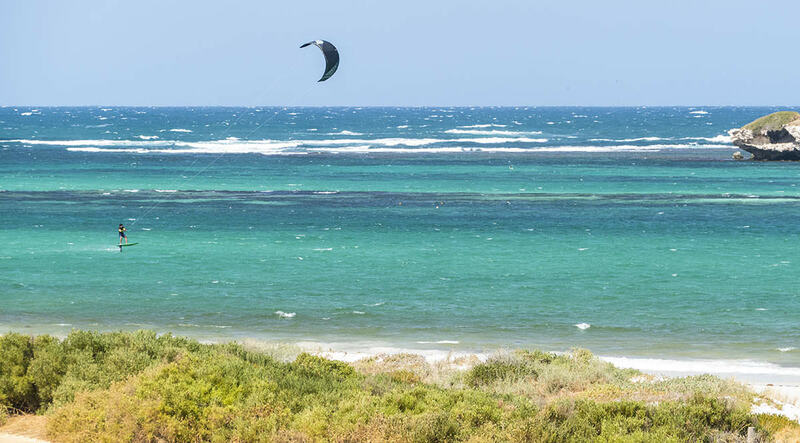 Kiting Baja Mexico – Solosports is one cool camp to check out!